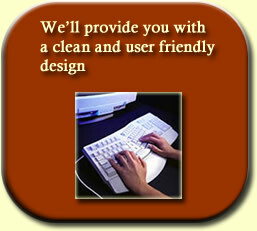 At Copper Bay Web Design, being a small business ourselves, we know the benefit of having a good website. We also know that cost can be a major factor when making commercial decisions. With an emphasis on simplicity and clean design and most important, usability, we ensure that all our websites have a look and feel which inspires confidence in you and your customers. By using stylesheets and keeping images and graphics to a minimum, we ensure that pages are optimised for fast and efficient downloading, meaning you will not lose customers whilst they wait for pages to display. So why choose Copper Bay Web Design? Well, we like to cater for small businesses, clubs and associations so we make sure our fees are competitive, straight forward and easy to understand. We will give you the website you want, at a price that is right for you. We guarantee that there will be no hidden costs - we work on a fixed price basis which means you know exactly what you will pay.